This program is not accepting applications for new students at this time. Please contact an admissions counselor for more information. 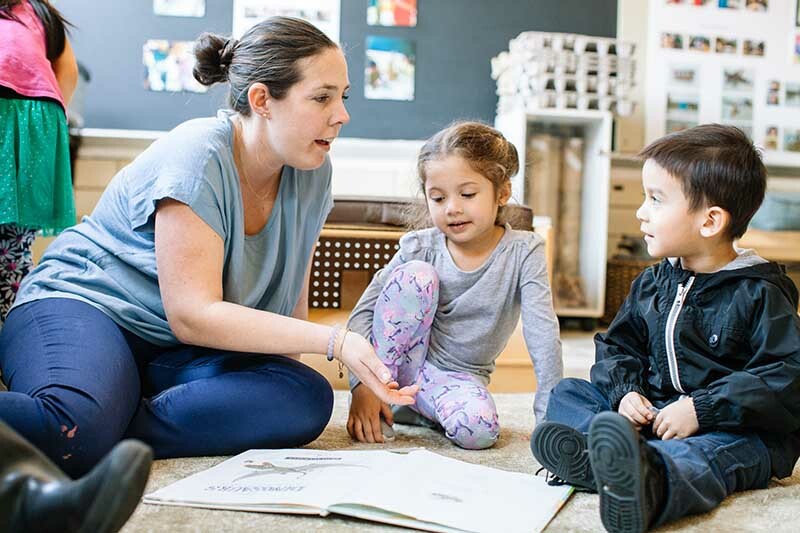 The Early Childhood Education (ECE) Program at Columbia College Chicago provides students with the opportunity to complete both their Bachelor of Arts degree and a Professional Educator License (PEL) with an endorsement in Early Childhood Education. This license enables them to teach children from birth through grade two in multiple settings, including public schools. Students graduate with the tools to apply theory- and research-based craft in schools, social service agencies, community organizations and other venues that provide youth education. The theoretical and practical underpinnings of this program are inspired by the Reggio Emilia approach to the education of young learners. This approach, and thus this program, is distinct in its emphasis on the arts to encourage creativity, imagination, and learning. This is accomplished through the integration of the arts throughout the curriculum, extensive field experiences, and varied opportunities for our students to take advantage of the expertise of Columbia's artists. Students will take courses about human development, language learning, linguistic development, and culture in young children's literature, in addition to electives from the Liberal Arts and Sciences Core Curriculum. Columbia has relationships with schools throughout the City of Chicago, where students conduct primary student teaching internships in the last year of the program.